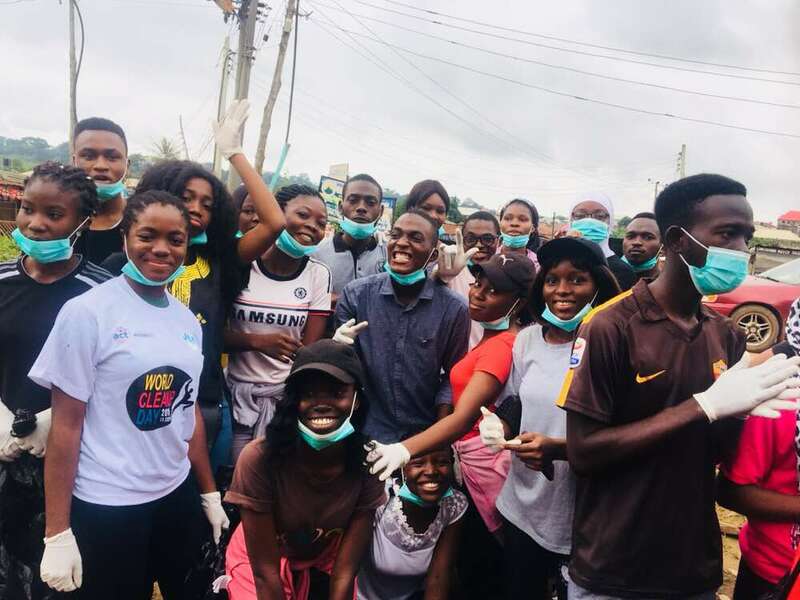 On 15th September, 2018, the Junior Chamber International, University of Ibadan (JCIN UI) in partnership with the Ibadan Volunteers Hub, WestAfricaENGR, Oyo State Ministry of Health and the AIESEC organised a clean-up exercise to commemorate the World Clean-up Day. The activity which started some minutes to 8am was carried out in Ajibode. Volunteers comprising the members of JCINUI, AIESEC and some interested members of the University of Ibadan community were divided into four groups, each group facing different areas in Ajibode. The exercise included cleaning of gutters, sweeping, gatherings and disposal of refuses in the polythene bags provided amongst others. The volunteers were offered gloves, nose masks, disinfectants, sanitisers, brooms, spades, rakes, et cetera to ensure that the exercise was done effectively without any health hazard. The President of the Junior Chamber International, University of Ibadan, Mr. Ayodele Oluwatobi said, ‘It is a social action taken to make sure we have a better life and a clean Nigeria.’ He also claimed that ‘it started with Estonia where they had 5% of their population came out to clean up their communities and it was adopted by JCINigeria and they made it a campaign’. He also qualified the process as an opportunity to showcase how we, young people can take action towards making our environment better. The waste according to him will be sent to the waste management department, who will take care of them and the recyclable ones especially bottles which have been sorted out will be sent to the Panacea Project. The Clean-up Exercise Committee Head, Miss. Adeola Oluwafunmilola, appreciated the volunteers and also pointed out that, ‘It is necessary that we get conscious of our environment and try to make it a hygienic place to live in, as it is necessary for our health and development’. Next articleCASE 1: HEY!! THIS IS MELLANBY HALL!! !